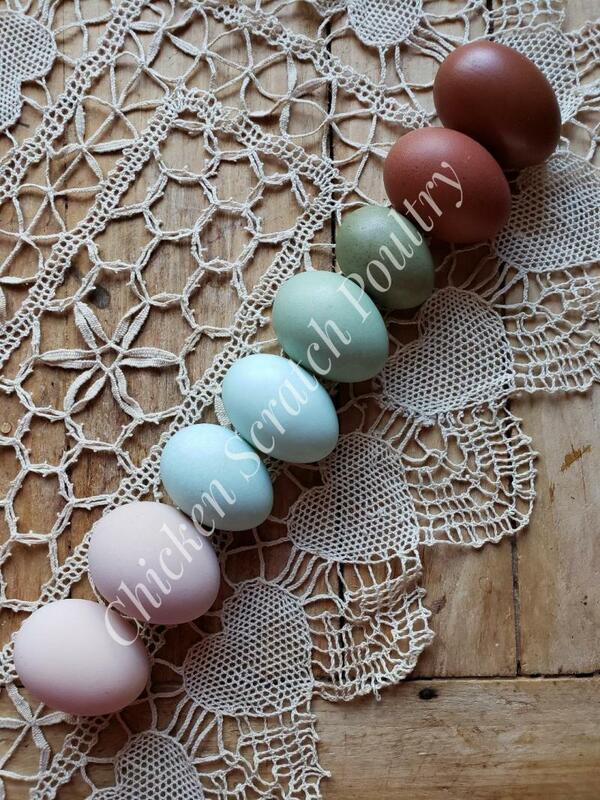 Rare heritage poultry that lay beautiful eggs. 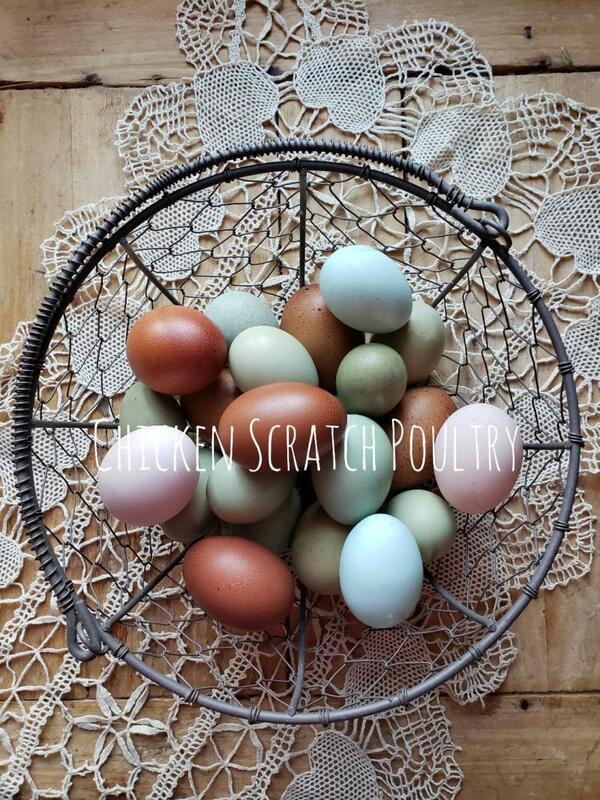 Looking for chicks that will produce you a colorful egg basket, let the farmher (that's me Angie) choose your chicks. For a short time we will be offering this special deal, $160 gets you 16 chicks, shorter wait time, price includes shipping. If you need them vaccinated it will be an extra $2 per chick. Each week we have a variety of chicks remaining after filling orders, these chicks a lot of times are some of our most rare and expensive breeds. 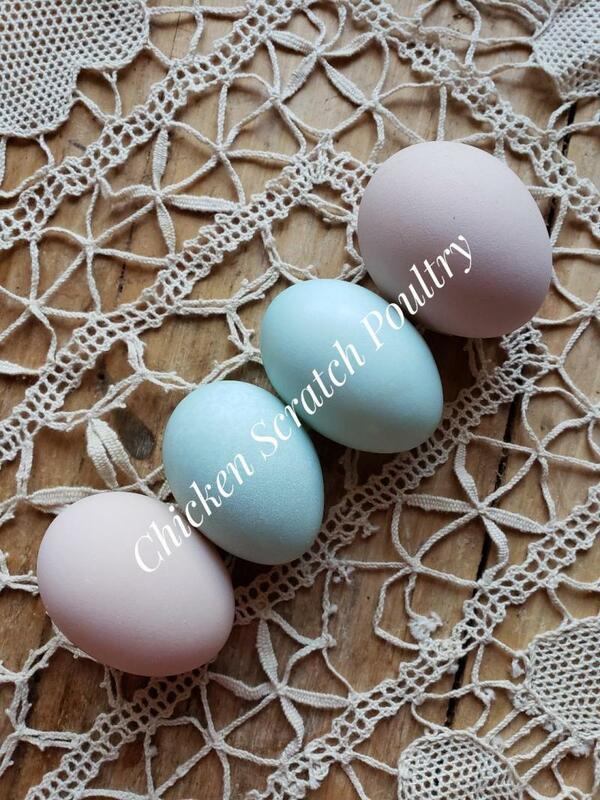 We're giving you the opportunity to allow the farmher (that's me Angie) to fill your box with the breeds she would pick for her own colorful flock :) and you know how I love a beautiful egg and pretty bird! Let me choose your box of chicks, you just might be amazed at the variety you will receive.